Matty2Shoes, commenting at The Daily Beast, offered that prediction of the next professional adventure for Sarah Palin®, political personality, former nominal governor of Alaska and reality TV trivia question answer whose 15 minutes of fame (or certainly notoriety) on the Fox News Channel have come to an end. Various media outlets reported that Palin, Arizona Sen. John McCain’s running mate in 2008, would not be renewing her $1 million-a-year contract as a Fox News analyst. Palin was reportedly offered a new contract at a significantly lower salary, but rejected it. Some folks at Smart Politics (a political Web site affiliated with the Humphrey School of Public Affairs at the University of Minnesota) have entirely too much time on their hands. Editors at the Web site parsed the totality of Palin’s Fox verbiage, providing a count for words uttered on “Fox News Sunday,” “The O’Reilly Factor,” even her presumably sage financial advice on “Your Money With Neil Cavuto.” Palin gave good word count in all the more meaningful Fox News dayparts (until she was taken off the air in mid-December). “Overall, with reported payments of $3 million across her three-year tenure at FOX, that means Palin was paid an average of $15.85 for [each of] the 189,221 words of analysis she provided the network,” Smart Politics reported. Translation from the original Claptrap tongue: She’ll be in one of the busier lanes of the information superhighway real soon. Ya betcha®. It’s telling that, even after the short-term wildfire exposure she achieved in the aftermath of the 2008 campaign (a best-selling book, magazine covers, reality TV), only 11 percent of those voters surveyed in a February 2010 Gallup poll supported the notion of a Palin presidential campaign in 2012. 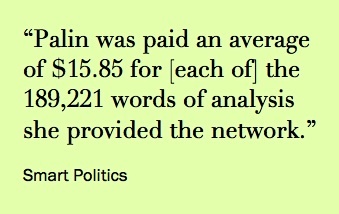 PALIN’S BEING cashiered from Fox makes two indelible statements. It’s a clear indicator of how far and how fast Palin’s stock has fallen on the media commodities market. 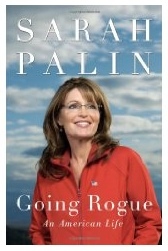 Her first book, “Going Rogue,” stormed the culture in November 2009, and was a healthy bestseller. 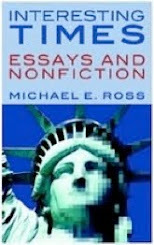 The 432-page, five-chapter tome distilled her freewheeling, iconoclastic style. A style that extended to what was between the covers. Things like this, and the nonstop non sequiturs, the tiresome Alaska Chamber of Commerce rhetoric, the passive-aggressive jabbering ungrounded in fact or even scholarship all meant that her value to Fox News as anything more than a ... a political personality was always debatable at best. No matter; Palin started the year 2010 on fire. No one could know then: That was the high point. That was as good as it was going to get. This defense mechanism, apparently pioneered by Sigmund Freud, is an everyday thing, encountered everywhere in modern life from the workplace to the marriage. Lately, the leadership of the House of Representatives has it bad. The Republican Party in general, and the House in particular, has lately been wandering in a napalmed wilderness. Bushes are burning around them (along with everything else) but the only voices they’re hearing are the ones in their heads. Nearly three months after the election, the front office of Republican identity is in utter chaos, its general tableau of spite, snarkiness, mixed messages and philosophical disarray offering a vision of some mad hair-on-fire amalgam of Hieronymus Bosch and the Keystone Kops. The head of the GOP fire drill, House Speaker John Boehner, perfectly distilled the confusion within the party and the willingness to project its actions elsewhere, in a luncheon speech on Tuesday in Washington. Reacting to President Obama’s inaugural address on Monday, Boehner said the address was proof that Obama blamed the House for inaction of his initiatives. “Given what we heard yesterday about the president's vision for his second term, it's pretty clear to me, and should be clear to all of you, that he knows he can't do any of that as long as the House is controlled by Republicans. And so we're expecting here over the next 22 months to be the focus of this administration as they attempt to annihilate the Republican Party,” Boehner told members of the conservative Ripon Society. Freud woulda had a field day with that one. Boehner’s statement was a textbook example of the political variation of projection. The actions and policy proposals of the Republican Party over the last three years are proof of nothing more than the party’s ability to self-immolate. The Obama administration can’t annihilate the Republican Party. Only the Republican Party can do that. There’s evidence that this self-destruction is still going on. Since the Nov. 6 election, there’ve been a number of insider attempts to give the party a good talking to — about what can be done to increase outreach to those outside the party. The discussion was held in the Burwell Plantation Room, named for an 18th century businessman who was an active trader in the, uh, chained commodities common to the era. 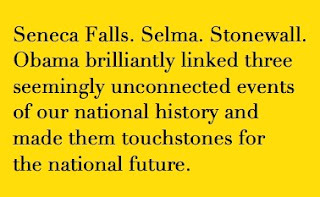 TYING UP with the nation’s slaveholder past is obviously bad optics in this day and age. But it’s to be expected when the resort itself is the site of a former working plantation ... in Virginia ... more than a century before the Civil War. The Republican remake machine reconvened again on Thursday and Friday, at the Republican National Committee Winter Meeting in Charlotte, N.C. Various movers & shakers in waiting took the stage, said their piece and dropped the mike, making willfully apostate comments that call the party’s established pieties into question. Others said much the same thing: speculating on how to rephrase their talking points for minority voters, how to couch conservative arguments in language and tones that voters outside the party would find acceptable. And they missed the point. They were all about the presentation; the real problem is the product itself. Case in point: Louisiana Gov. 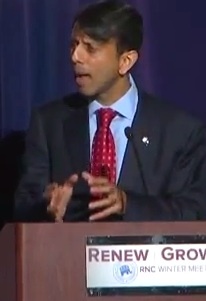 Bobby Jindal, everybody’s shortlist darling for the GOP nomination in 2016. Jindal, the convention keynote; let fly on Thursday with “seven things” he said were necessary to rescue the GOP from electoral irrelevance. It’s Jindal’s peculiar rhetorical genius, as demonstrated on Thursday, that makes him both the catalyst for change within the GOP and the poster boy for its most intractable aspects. You have to weigh change agent Jindal’s Martin Luther act — nailing his seven things to the door of the church of Republican tradition — against the other Bobby Jindal, the Ivy League-schooled champion of creationism. LADIES AND gentlemen ... Djangobama unleashed. In a second inaugural address that will go down as one of the finest, most evocative orations of his political career and one of the very best in modern American presidential history, President Obama offered a speech that was at once a road map of his priorities for the second term (which, practically speaking, began the day after the election); a spirited pushback against the persistent neoconservative ethos; and a figuratively and literally full-throated defense of liberalism as a bedrock American value, a defense that weaved seemingly disparate social struggles into the long arc of the national narrative. His second inaugural address, coming on the date of the observance of the Martin Luther King Jr. federal holiday, bore the obvious resonance of the nation’s racial history. But when Barack Hussein Obama II took the oath of office Monday afternoon, the United States crossed more than its second major Rubicon of race in four years. With the inauguration, which happened in front of maybe 1 million people on the National Mall, the Obama presidency attained gravitas beyond the fact of a second term. The nation returned its first African American chief executive to the White House, true enough, but just as surely as Barack Obama reset the race-centric baseline of American possibility in 2008, he ventured on Monday to reset the perception of progressive American values in the national life. With a first term crowded with signal achievements, Obama delivered a charitable, ambitious and panoramic speech that indicated he has no intention of taking his foot off the gas as a driver of political and social change. In the process he offered a sturdy refutation of Reagan’s 1981 thinking: In this present crisis, at this time and place in the nation’s history, government damn well better have a role in being part of the solution. “[W]e have never relinquished our skepticism of central authority, nor have we succumbed to the fiction that all society’s ills can be cured through government alone,” the president said. “Our celebration of initiative and enterprise; our insistence on hard work and personal responsibility, are constants in our character. 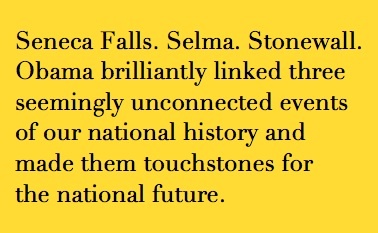 Conflating in the annals of social struggle the Seneca Falls Declaration of 1848 (central to women’s rights); the Selma-to-Montgomery marches of 1965 (pivotal to the civil rights movement); and the Stonewall riots of 1969 (a watershed of the gay rights movement), President Obama brilliantly linked three seemingly unconnected events of our national history and made them touchstones for the national future. “Our journey is not complete until no citizen is forced to wait for hours to exercise the right to vote. Our journey is not complete until we find a better way to welcome the striving, hopeful immigrants who still see America as a land of opportunity; until bright young students and engineers are enlisted in our workforce rather than expelled from our country. THE GROUNDWORK’S being laid now for what history will eventually call one of President Obama’s signal second-term achievements, even though whenever a new gun-control bill becomes law, its origins will more properly belong to the first term. A wave of 23 executive actions from the president, announced on Wednesday, moves the ball on gun-law reform and firearm access as far as possible without congressional action — and certainly farther than it’s ever been moved since the assault weapons ban sunsetted in 2004. This is utterly unacceptable for most of the mouthpieces and apologists for those in the pro-gun crowd, some of whom went into hair-on-fire mode on Sunday's Beltway-gasbag shows. But the ground’s shifting fast. 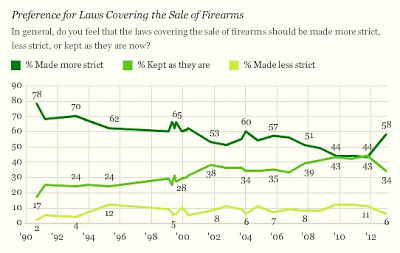 Support for the White House initiatives on gun laws came from unexpected (and for conservatives, inconvenient) places. With his 23 executive actions, the president sent the signal again that he intends to move forward on gun-access and gun-law reform on a broad scale, smartly tackling the issue from several different vantages at once. 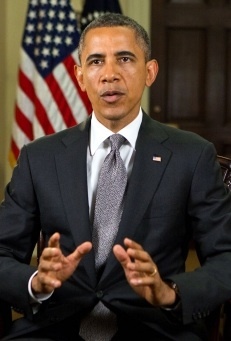 The president also released a Justice Department report analyzing information on lost and stolen guns, and ordered that report be available to law enforcement; and he directed Attorney General Eric Holder to move on a report on new gun safety technologies, and challenge gun makers to come up with more of the same. And talk-radio Doberman, former recreational pharmaceutical enthusiast and constitutional scholar Rush Limbaugh weighed in on Tuesday, anticipating Wednesday’s announcement. 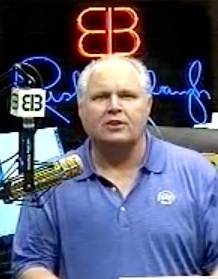 “[T]he executive order does not contain the power to violate the Constitution,” Limbaugh said on the air. 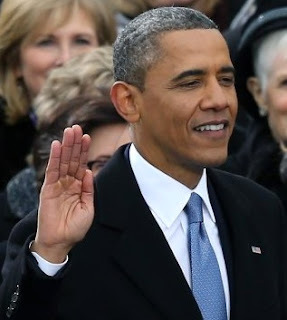 IT WAS history in the making four years ago: Barack Obama was inaugurated as the 44th President of the United States, the nation’s first African American chief executive. But like many historic moments, this one had a moment preceding it that was ready for the blooper reel. We don’t wanna go there again. Ever. “I do solemnly swear that I will faithfully execute the Office of President of the United States, and will to the best of my Ability, preserve, protect and defend the Constitution of the United States." 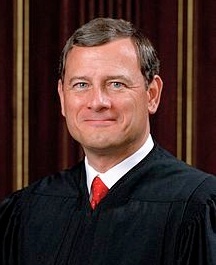 Please, Chief Justice Roberts, get it right. Bring notes if you must. 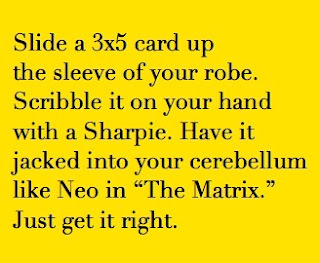 Slide a 3x5 card up the sleeve of your judicial robe. Scribble it on your hand with a Sharpie. Have it jacked into your cerebellum like Neo in “The Matrix.” Do something. Anything. But get it right this time. We can’t have you up there stumbling and fumbling over a presidential oath not that much longer than a freakin’ tweet. You’ve got two chances to nail this. The first one comes today, Sunday, Jan. 20, at noon, in the relative privacy of the Blue Room of the White House, on the constitutionally mandated date of inauguration. But the operative word there is “relative.” Even though the oath won’t be administered today in front of who knows how many hundreds of thousands of people in front of the Capitol, today's ceremony will be televised and live-streamed. Bottom line: You’ve got to stick the landing in the Blue Room. And for obvious reasons —like everyone on the planet tuning in to watch it live — you’ve really got to nail it on Monday, at the West Front of the Capitol. Either way, there’s no do-overs. You don’t want any asterisks about this next to your name in the history books. Get it right this time. “Oyez! Oyez! Oyez! All persons having business before the Honorable, the Supreme Court of the United States, are admonished to draw near and give their attention, for the Court is now sitting. God save the United States and this Honorable Court." That’s two sentences, 41 words long. Oyez, Oyez, Oyez! If the Court Crier can get his oration right, so can you. F. SCOTT Fitzgerald once observed that “the test of a first-rate intelligence is the ability to hold two opposed ideas in the mind at the same time, and still retain the ability to function.” There’s some concern, as expressed in a Friday story in Politico, that Team Obama II may be challenged to demonstrate that kind of equipoise — not out of any intellectual deficit, but because of the opposing social, economic and political forces furiously competing to dominate the president’s second-term agenda. “As President Barack Obama approaches his second inaugural on Monday, he presides over a party that has largely papered over its divisions for the past four years thanks to the president’s commanding popularity,” says the story by Jonathan Martin and Maggie Haberman. Three contentions seem to lie at the heart of the reporters’ analysis: the Democrats’ current electoral successes can be laid more or less solely at President Obama’s feet; such broad support, based in their eyes on a cult of personality specific to the president, isn’t transferable to another Democratic standard-bearer; and the Democratic Party’s future success hinges on it being one monolithic entity — one thing and only one thing in the future. 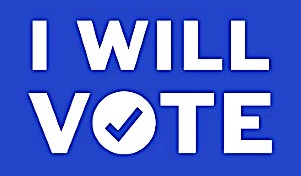 But Martin and Haberman propose a possible future of the Democratic Party that seems oddly, curiously disconnected from recent events — including a dispositive presidential election, and equally resonant downticket Democratic victories — that call some of their warnings into question. And the writers assume that the Democrats won’t learn the obvious lessons of the Republicans, whose replacement of practicality with scorched-earth partisanship is on the verge of making them irrelevant. 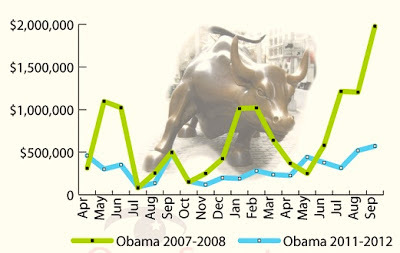 About 20 percent of the 2008 Obama campaign’s fundraising totals came from Wall Street, Reuters reported. Much of the rest was raised through the viral crowdsourcing approach to fundraising that Team Obama elevated to new heights that year. Team Obama raised about $750 million in 2008, ABC News reported, citing figures from the Federal Election Commission. 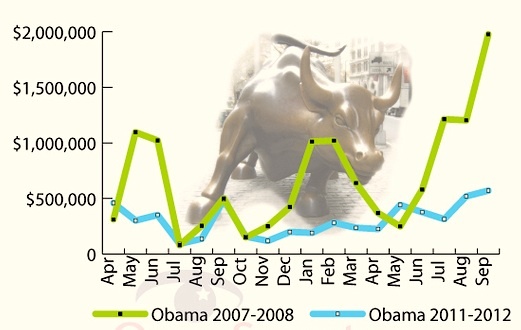 FAST FORWARD to 2012: Obama’s Wall Street donations were down markedly from 2008, but look at the overall. The Obama campaign raised $714.6 million during the 2012 election cycle — almost as much as in 2008 — and well above the Romney campaign totals of $446.1 million, according to the Center for Responsive Politics. This time, like in 2008, it was everyday people who made the difference. “The Obama campaign relied heavily on a groundswell of small donations from grassroots support, with 34 percent of the Obama war chest made up of donations of $200 or less. 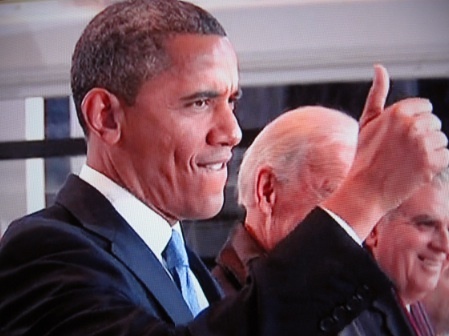 The total amount of money the Obama campaign raised from donors who gave more than $200, however, amounted to about twice as much as was raised from small donors who gave less than $200,” according to Truthout. That’s not to say that Wall Street money shouldn’t matter to a presidential campaign; it is to say that Team Obama has convincingly won elections by dancing with the people who brung ‘em — the American people — and carefully weighing Wall Street concerns over regulation against the issues important to citizens in the millions. And the phenomenal success of the securities and financial industry under this president — the Dow’s up 60 percent since he took office in January 2009 — strongly suggests that Wall Street’s antagonisms have long been exaggerated, at best. On matters of policy, Martin and Haberman focus on “the coming debate over Social Security and Medicare,” particularly the “razor sharp” differences over raising the eligibility age for future Medicare recipients from 65 to 67, as a way to achieve savings in the federal budget. There are intraparty differences to be sure, and lines in the sand that true-believer Democrats like Ohio Sen. Sherrod Brown won’t cross. Brown, among others, is adamant about not changing the eligibility age. But as surely as the Republicans have lately come around to reality on the debt-ceiling debate when faced with just how unblinkingly nonpartisan financial mathematics can be, Brown and other progressive Democratic stalwarts can be expected to ultimately come around, unwilling to let the perfect be the enemy of the good. FRIDAY, THE 113th Congress of the United States formally began its first full day in session, and made a huge demographic statement just by showing up. 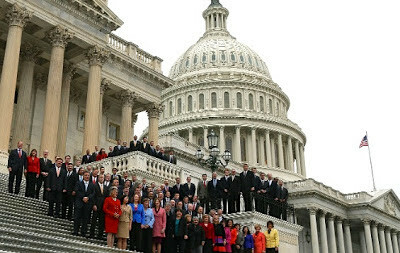 The new Congress begins with 101 women in Congress (20 in the United States Senate, an all-time record); and 43 new African American members, 31 new Latino members, 12 new Asian members, 16 veterans from the Iraq or Afghan wars, the first Hindu member of Congress, and seven LGBT Americans. The 113th, the most diverse in the history of the United States, replaces the 112th, by any yardstick of achievement the most useless Congress of the last 60-odd years. But for the new Republican kids in the House on the Hill, the first order of business will be developing a strategy for the battle over the nation’s $16.4 trillion debt ceiling, a fight already ramping up in earnest. Nothing like starting your job doing the last of someone else’s. They’ll have help. The old Republican guard — Graham of South Carolina, Cornyn of Texas, McConnell of Kentucky — has already laid down a marker: Give us what we want or the economy gets it. Americans generally, and lawmakers and businesspeople, have said this old approach of threatening to shut down the government if Republican demands aren’t satisfied isn’t what’s needed now. So did President Obama. So did Newt Gingrich. The GOP’s presumptive theoretician had harsh words for House Speaker John Boehner, and the Republican leadership in general. “They’ve got to find, in the House, a totally new strategy,” Gingrich said on MSNBC’s “Morning Joe” on Friday. “He can’t keep thinking the way he’s thought the last few months without having a disaster on his hands,” Gingrich said. THIS THINKING that Gingrich warned of is apparently contagious. It proceeds from a view held by other Republican lawmakers that it’s not only OK to shut down the federal government of the United States, but that it’s also something worthy of being scheduled, of being a regular, ordinary thing — the disaster that’s predictable. 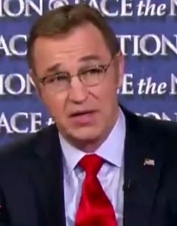 Matt Salmon, the Republican congressman from Arizona, was the latest. On CBS’s “Face the Nation” on Sunday, talking like he was part of the Clinton administration, Salmon tried to give the Republicans credit for the boom years under that Democratic president, by using the same eleventh-hour technique he said should be used again in 2013. He told Bob Schieffer that “it’s about time” for a government shutdown. You can argue with Salmon’s train-timetable tolerance for government at the precipice, but there’s a brittle truth to the essential thrust of his thinking. Like a date with the hangman, the threat of a government shutdown tends to concentrate the congressional mind wonderfully. It did in the 1990’s; it took that threat to finally distill the differences between Democrats and Republicans on economic policy into something politically navigable for both parties — and to great effect: a $230 billion surplus when Bill Clinton left office. The Republicans are using an old tool to deal with a new problem. And the looming debt-ceiling debate comes amid the persistent strength of the Tea Party variant of the GOP, a group whose zero-sum-game approach to politics has been and will be one that accepts opposition, not compromise, as its main animating principle. The Tea Party crew didn’t come to Washington to find common ground; they came to Washington to scorch the earth. And that’s the problem. 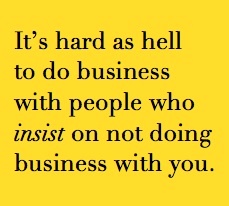 It’s hard as hell to do business with people who insist on not doing business with you. AFTER THE horrors of Newtown, the cynics and traffickers in the downbeat said nothing would change over gun ownership and the lobby of the pro-gun lobby. Everything would be as it was, they said. Not anymore. We’d always hoped this time would be different. This time, it is. On Saturday, The Washington Post reported on a developing initiative by the White House, what may be — forgive the easy ballistic metaphor — the first comprehensive salvo against the National Rifle Association and that organization’s longstanding lock on the public debate and the legislators on Capitol Hill. Philip Rucker of The Post reported that the Obama White House “is weighing a far broader and more comprehensive approach to curbing the nation’s gun violence than simply reinstating an expired ban on assault weapons and high-capacity ammunition, according to multiple people involved in the administration’s discussions. The Post also said that the White House and the Biden group are planning ways to effectively hit the NRA and pro-gun advocates where they thrive, with overtures to such high-volume gun retailers as Wal-Mart (which sells guns and ammunition at its 4,000 U.S. stores), pitching these sellers on gun control ideas that favor their bottom lines — to, in effect, make gun control saleable, and palatable. Rucker also reports that the White House has reached out to Michael Bloomberg, a staunch gun-control advocate and the mayor of New York City, a metropolis of 8 million people that just reported its lowest murder rate — down by 78 percent — in a generation. What else is different this time? The public mood: A USA Today/Gallup Poll released in late December found that 58 percent of America want stricter gun-control measures in place, a jump of 14 points in a year. 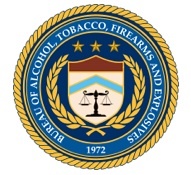 THIS MULTILEVELED approach was one hinted at when the working group convened on Dec. 20, days after the murders in Newtown. 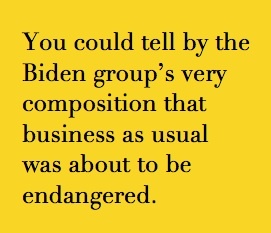 You could tell by its very composition — Biden, Attorney General Eric Holder, Education Secretary Arne Duncan, Homeland Security Secretary Janet Napolitano, Health and Human Services Secretary Kathleen Sebelius, and officials from law enforcement — that business as usual was about to be endangered. “Simply coming up with one or two aspects of it really falls short of the magnitude of the gun issue in the country,” said Chuck Wexler, executive director of the Police Executive Research Forum, to The Post. The multi-pronged approach apparently being considered poses what may be the fiercest pushback against the National Rifle Association; the White House realizes that to beat back a hydra-headed snake — a gun lobby with a deep-pocketed presence in the worlds of government, business and American society — you need more than one club. “The administration is quietly talking with a diverse array of interest groups, including religious leaders, mental-health professionals and hunters, to build as broad a coalition as possible,” The Post reported. 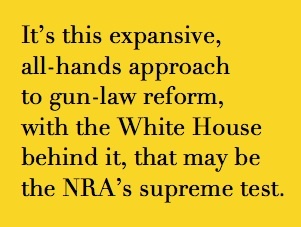 It’s this expansive, all-hands approach to gun control and gun-law reform, mounted with the resources and weight of the White House behind it, that may be the NRA’s supreme test of its alleged muscle on Capitol Hill. The Biden working group is moving fast on this, no doubt fearing that public outrage over the Newtown slaughter and its recent antecedents will fade over time. They needn’t worry: The administration’s plans were underscored by an incident on Saturday in Aurora, Colo., a hostage situation that left four people dead, including the gunman, after a standoff with Aurora police at a townhouse about four miles from the Aurora Mall, scene of last summer’s movie-theater mass murder. The circumstances of the shooting weren’t immediately clear; nor were the facts about whether the gun used Saturday was legally purchased. But it almost doesn’t matter; an event like that coming so soon after Newtown, with multiple casualties, is the most recent chapter in the gathering national narrative on guns. It also underscores the challenges facing Wayne LaPierre and the NRA, trying to maintain the status quo in a country that’s calling for action, led by an administration that may have finally brought a big gun to a gunfight. Image credits: NRA logo: © 2013 National Rifle Association. 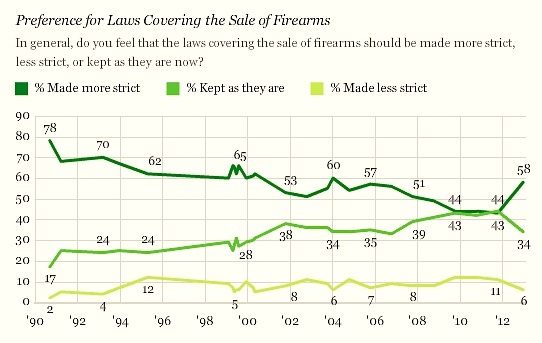 Gun-law preference poll chart: © 2012 Gallup. Washington Post logo: © 2013 The Washington Post Company. 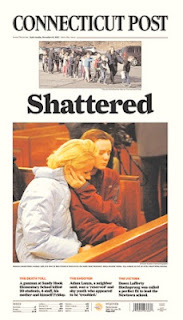 Connecticut Post front page: © 2012 Hearst Communications. COMCAST’S NEW branding has a sleek, thoroughly modern look, maybe a way of reintroducing the megamedia titan and its properties to the American public. Andrew Sullivan is ankling from the Daily Beast and going behind the paywall; the Tribune Company just emerged from four years of bankruptcy; and Ann Curry is eyeing a possible tie-up with the yet-to-be-Zucker-reconfigured CNN. But those pale in comparison with the first major media story of this infant year. The principals are both outliers relative to the standing hegemony of American mainstream electronic media; in an announcement on Wednesday, the two players — Current TV and Al Jazeera — took arguably the boldest step ever to bridge a cultural divide through the medium of television. What’s still to be seen, once it’s all up and running, is whether a foreign-born network with a toehold in the American market can do better at building an audience than the home-grown product it replaces. On Wednesday, Current chief executives Joel Hyatt and Al Gore announced that Al Jazeera, the Qatar-based news network and global media lightning rod, would be acquiring the beleaguered Current TV channel, launched by Gore and Hyatt in August 2005 and essentially on the auction block since October. “Al [Gore] and I are thrilled and proud to announce that a few moments ago Current was acquired by Al Jazeera, the award winning international news organization,” Hyatt wrote in a staff memo, excerpted by Mashable. NO SOONER had the announcement been made than Time Warner Cable made its own statement, clearly defensive and possibly political: effectively more or less immediately, it would no long carry Current TV among its content choices for subscribers. But the carriage contracts Al Jazeera inherits from Current — deals with Direct TV, Dish, Verizon and Comcast — may have made that irrelevant. Time Warner Cable may have thought of that, or the possible damage to its public relations, when the company partially reversed itself on Thursday. “We are keeping an open mind and as the service develops, we will evaluate whether it makes sense, for our customers, to launch the network," the company said in a statement in The New York Times and The Huffington Post. Selling is a reversal of fortune for Current. 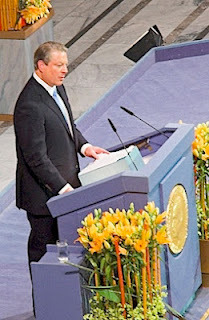 Al Gore took point in establishing Current as an edgy, documentary-based channel that prided itself on viewer-created content as central to a loose, DIY, egalitarian ethos. The station, based in San Francisco, has gone through any number of guises and strategies in a bid to punch up viewer numbers, tapping into social media and Google’s search tools in a bid for relevance. But the network faced challenges to its identity, not least among them a shortage of overall programming; and Current’s lo-definition broadcast technology, which gave the channel a fuzzy, antiquated visual signature despite the cutting-edge efforts of its journalists and contributors. Too much, and not enough, changed between then and now. IN 2011, Current was distinguishing itself with the Vanguard investigative series, which showcased arresting work from a young and daring documentary unit; the iconoclastic populist portraits of Ira Glass' “This American Life”; and snarky programs like “InfoMania,” a satiric take on the news. The big news for Current that year was the channel’s acquisition of Keith Olbermann, the mercurial, much-traveled news and political commentator, who abruptly left MSNBC two years ago this month. Olbermann was seen as someone with just the right gravitas, just the right proven viewer appeal to help make Current matter. Olbermann relaunched his old MSNBC “Countdown” under the Current banner in June 2011. Olbermann’s arrival was widely well-received. “[Current’s] been a non-factor in terms of programming … for the first time, this puts Current on the map as a real player.” Larry Gerbrandt of Media Valuation Partners told Georg Szalai of The Hollywood Reporter. Sadly, no; the whole thing flamed out in March 2012. 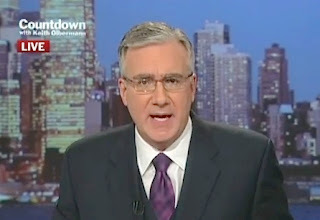 Olbermann was fired from Current a bit more than a year after he was hired, for breach of contract and what one Current insider called “sabotage.” Two days later, Current debuted “Viewpoint With Eliot Spitzer,” in the Olbermann time slot, featuring the disgraced former New York governor working his second talk show in two years. Current lumbered along before Olbermann left and after. “The Young Turks” a political program with the shrill, sarcastic Cenk Uygur, started in December 2011 (Uygur coming over from MSNBC). 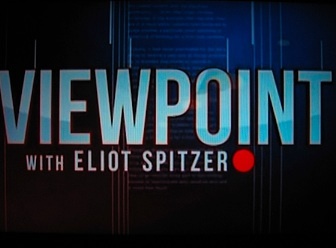 In January 2012, Current launched “The War Room With Jennifer Granholm,” a show informed by the liberal perspective for the former Michigan governor, but shot on a cheesy, public-access-quality set adorned with posters of campaigns of the past. In March 2012, Current launched “Full Court Press,” featuring liberal talk-radio host and author Bill Press, broadcasting Press talking with callers live at 6 a.m. from a Washington studio not much bigger than a phone booth. Stephanie Miller’s talk-radio program “Talking Liberally” does much the same thing, from a slightly bigger phone booth in Los Angeles, at 6 a.m. Pacific. ALL THIS goes away, apparently, and soon. 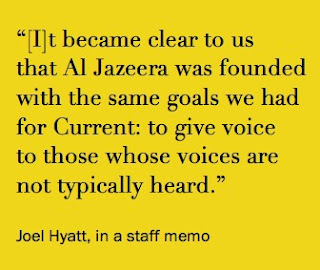 The New York Times’ Brian Stelter reports that Al Jazeera will replace Current's programming with its own network news shows, the first step in something the company has been planning for some time. HAPPY NEW YEAR. We made it. And they did it. You can put the climactic clip from “Thelma & Louise” away. Retire the metaphors for precipitous experiences. 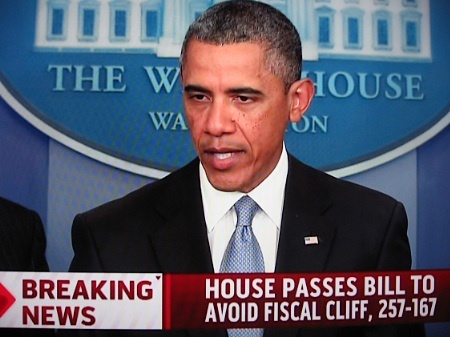 We're fiscal cliff hangers no more. Last night, a majority of the members of the House of Representatives had the facts and they voted Yes. 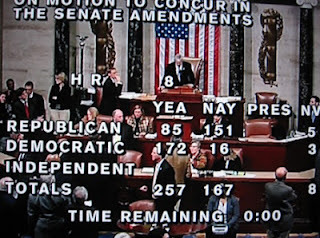 At 10:57 p.m. Capitol Hill Time, the House passed HR 844, a measure that will permanently end the Bush-era tax cuts and raise taxes for individuals earning more than $400,000 a year and families earning more than $450,000; and extend federal unemployment benefits by a year. 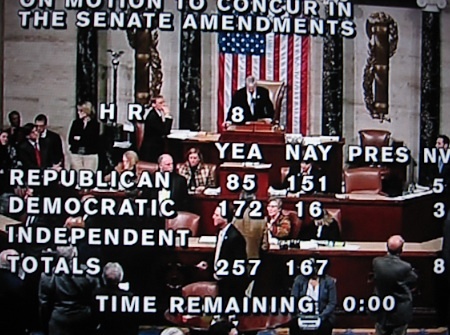 The vote wasn’t even close; HR 844 passed with 257 votes — 85 Republicans and 172 Democrats — when only 218 were needed. In a Congress allergic to bipartisanship, the bill that just passed was an example of how it’s possible for legislation to piss off everyone. The bill was opposed by the AFL-CIO, the nation’s pre-eminent labor organization whose members were a lock for President Obama’s re-election, and the Heritage Foundation, the conservative think tank now run by arch-rightie Jim DeMint, the former senator. Both sides gave up something dear. Thus is the nature of negotiation, in Washington and everywhere else. 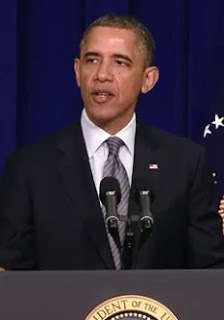 Not long before taking Air Force One back to Hawaii to finish the vacation so rudely interrupted just after Christmas, President Obama underscored the importance of the bill’s passage with a visit to the Brady Briefing Room at the White House. The bill’s passage achieved other, less publicized objectives; its OK by the House means the estate tax threshold stays at $5 million; and it puts off debate over the “sequester,” or a series of automatic budget cuts that were the sticking point for House Republicans. It makes fixes to the dreaded alternative minimum tax; it furthers the child tax credit for another five years; and the bill extends the farm bill for a year. No more threat of $8 gallons of milk until at least this time next year. 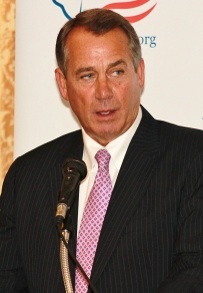 House Speakerphone John Boehner was thoroughly boxed in and he knew it. Earlier in the day, after the Senate had approved the measure overwhelmingly, 89 to 8, the Speaker of the House decided on an action plan: Press to find whether there were 218 votes in the House to make amendments to the Senate-passed bill. If 218 votes couldn’t be found to support an amendment, Boehner would bite the bullet and call for a straight up-or-down vote on the measure. That’s what happened. One reason it happened — clear now in retrospect — had to do with the enduring divisions within the House Republican conference and, more widely, the Republican Party itself. Those schisms were obvious last night. The antagonism between Boehner and House Majority Leader Eric Cantor, suspected or feared or hinted at before, was all too apparent with the vote tally. Cantor was expected to vote against it as it emerged from the Senate. He did, along with House Majority Whip Kevin McCarthy. 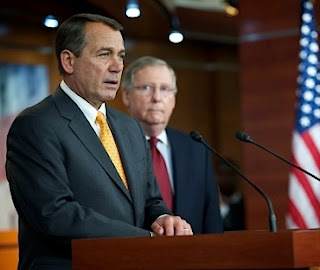 THE FACT of the opposing votes of leadership is bad enough for the GOP. What’s worse is what it clearly says about Republican unity. Simply put: There ain’t none. 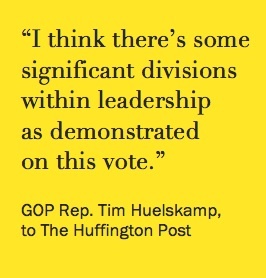 “I think there's some significant divisions within leadership as demonstrated on this vote,” GOP Rep. Tim Huelskamp of Kansas told The Huffington Post last night. At the end of the day, that’s what rankles the hardest of the hard-core conservatives the most: being outmaneuvered, by Obama’s White House, economic reality and political practicality, and forced to do what they detest. Grover Norquist, the high priest of anti-tax zealots whose Taxpayer Protection Pledge amounts to being a conservative loyalty oath, was a huge loser last night. So was any notion of Republican unity. With sniping over the resolution of the “fiscal cliff” crisis coming from everyone from Newt Gingrich (who tweeted that “the gop has been engaged in a two-month dance of defeat and surrender!”) to publicity enthusiast Donald Trump (who tweeted that “the Republicans may be the worst negotiators in history!”), it’s clear the political role of circular firing squad, once an albatross of the Democratic identity, is now well occupied by the GOP.